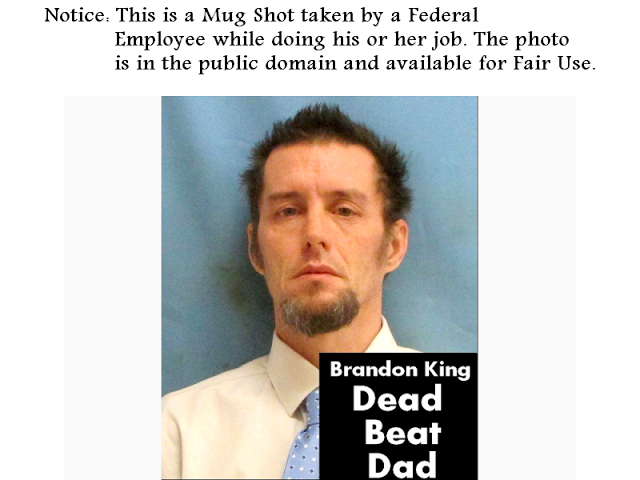 Kidnapping your own child in a custody battle is not really a good strategic move but that’s the choice made by Brandon King in the summer of 2015. 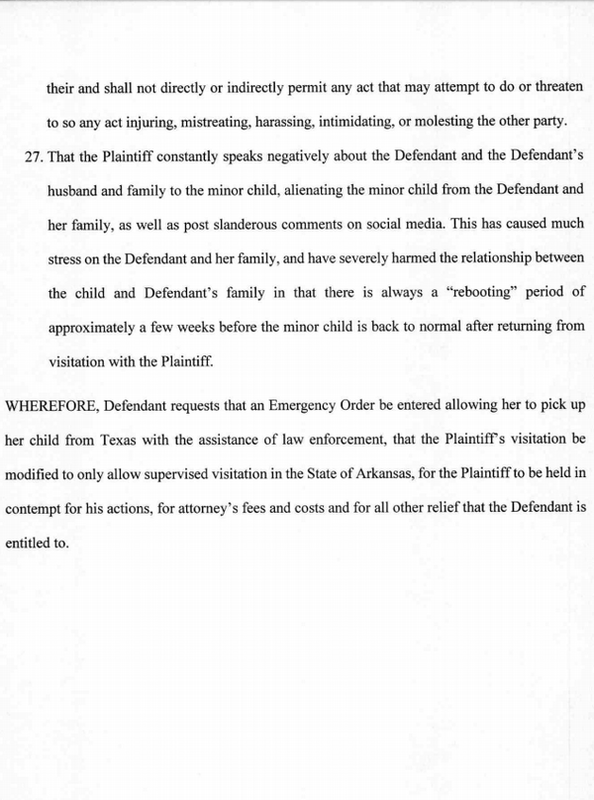 I believe the charges were eventually dismissed but it’s sad to see an adult use a child as a weapon when it's the child that ends up getting hurt the most. 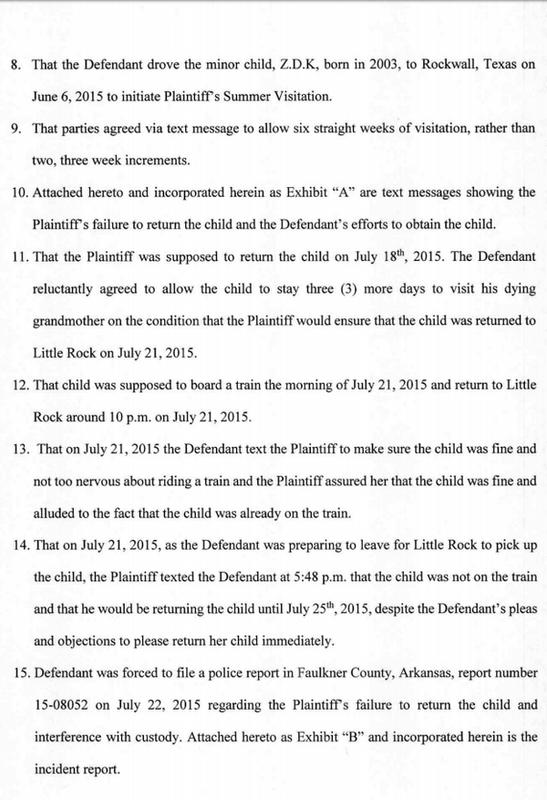 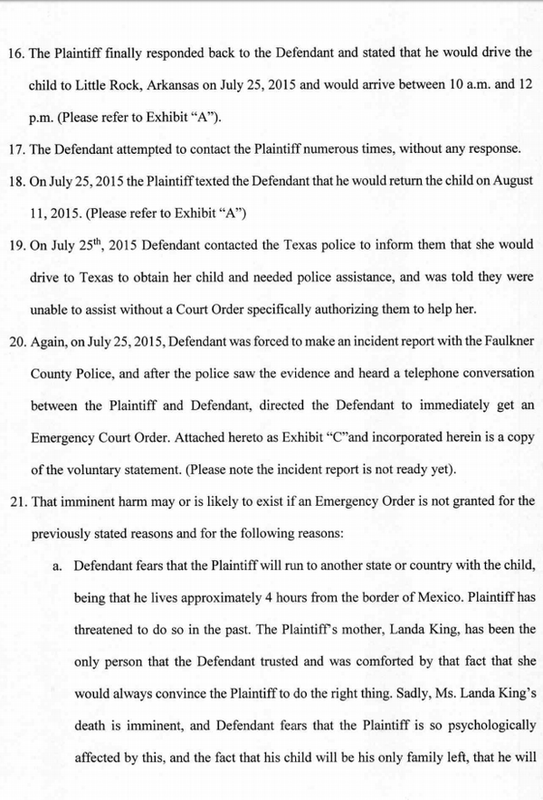 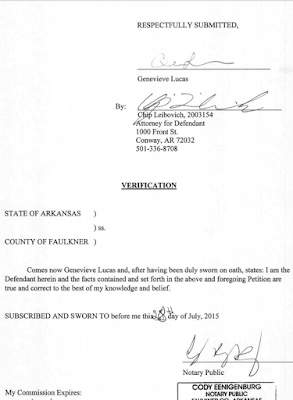 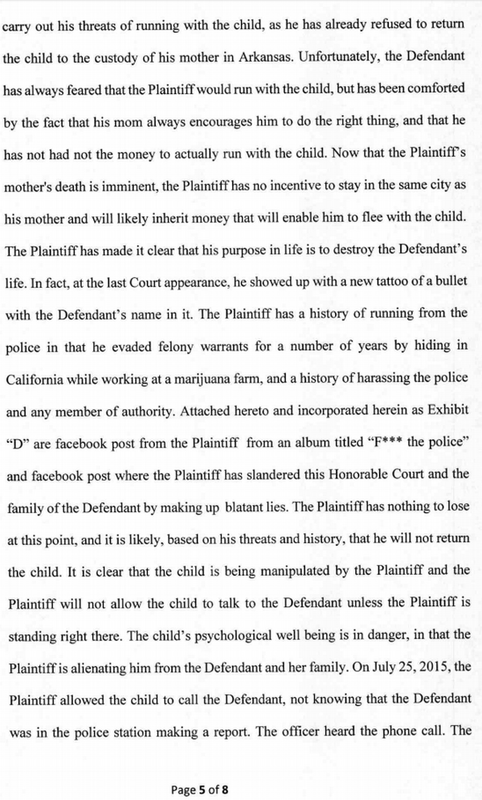 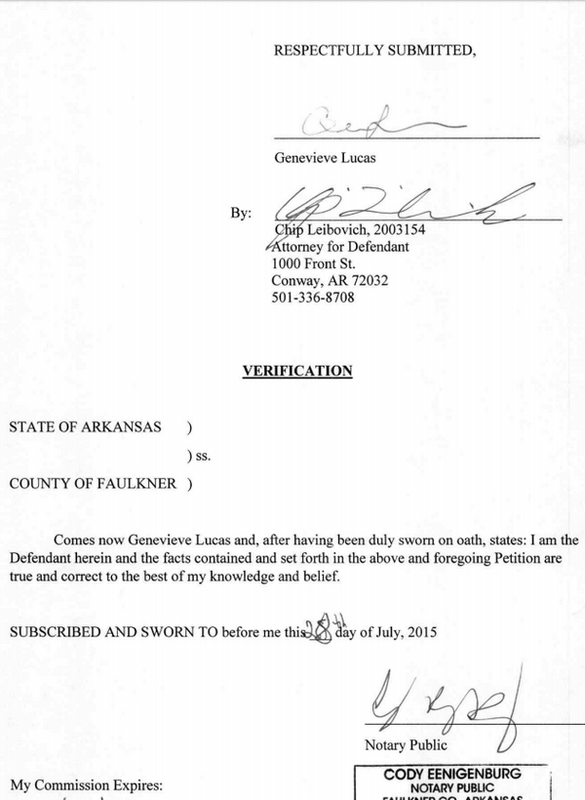 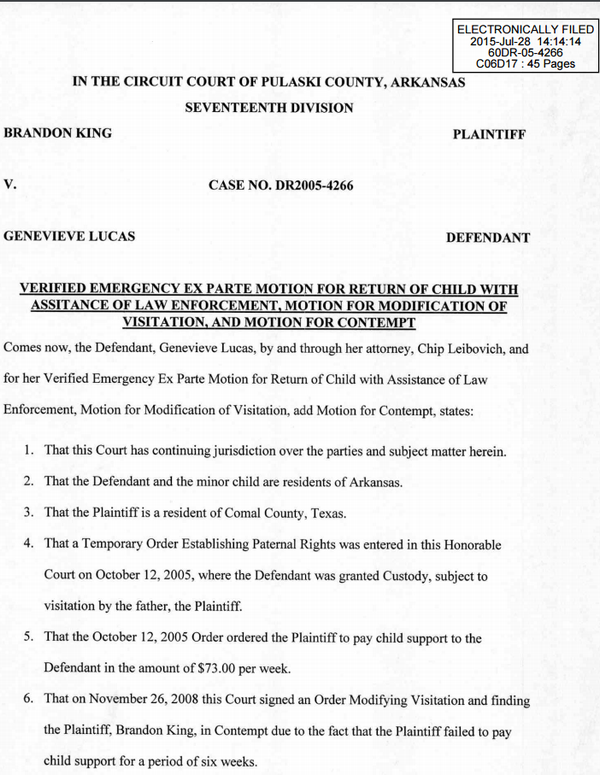 Here is the emergency motion that was filed July, 2015 in the long, ongoing custody battle between Brandon King and his ex. 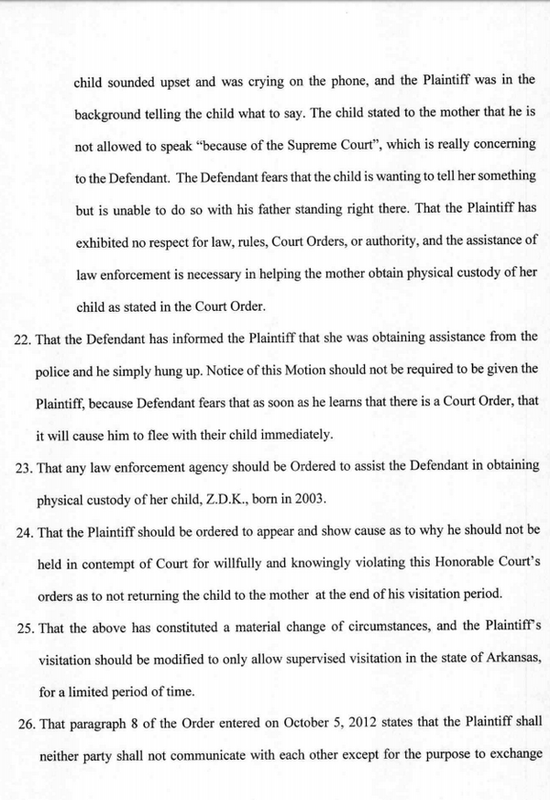 The Exhibits mentioned in the motion are here: A, B, C, and D.